In April 22 2007, a group of young people gathered in the MCNT office. 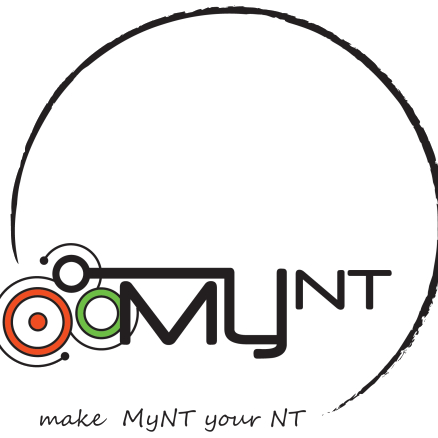 They believed that young people should be heard in the community and thus, MyNT was born. That was 10 years ago. And while I am celebrating MyNT’s 10th year this year, I am also celebrating 10 years of living in Australia. It feels like lifetime ago when my family and I packed our bags and left everything and everyone we knew back in the Philippines. And at first, the sudden change felt like an exciting adventure. But after a while, the excitement fades as you start to realise what you had lost. And suddenly, the adrenaline is replaced by the crushing dread of not belonging in this new, strange place where the people looked and sounded nothing like me, but rather, it was a melting pot filled with people of different shades and colour; where the way they acted was different from the one I was used to; and their English sounded different from the English I learned. When I started school in the second semester of year four, everyone in the class had already formed friendship groups, the seating arrangement had already been established, and the lessons continued from what was left off in the first Semester. I was forced to play catch-up in my education and in trying to make friends – and in pretending that I knew what my classmates were talking about when they said “round robin” and “dodge ball”. I was forced to pretend to fit in this new life, and then go back home and revert back to what I was used to. I was living in two worlds, yet feeling like I didn’t belong in either. That was until about five years ago when my sister encouraged me to apply for the Youth Leadership Summit organised by this quirky, youth organisation. While I did not end up actually achieving the project I applied with, the experience opened up a new perspective in me. And the following year, I volunteered to help organise Kaleidoscope Youth Leadership Summit. And the rest is history. While we left our family behind in Philippines, I found a new one with MyNT. I learned a lot of things including being confident and working in a team. But the most important lesson I learned was to embrace the culture I was born in alongside the culture that I am a part of. I am not Filipino or Australian, rather, I am both. As part of MyNT, I hope to be able to help young people who, like I did, feels lost to be able to find a place they belong and to realise their potential. In June 2 2017, we celebrated MyNT’s achievement in a reception hosted by The Honourable Dale Wakefieled MLA at the Parliament House. The MCNT committee members and staffs, previous MyNT members, community stakeholders, and other youth organisation representatives attended the event. We also took this time to acknowledge the work of the previous MyNT Executive members to bring MyNT to where it is now, and recognised the previous MyNT Chairs as we look forward to the future of the organisation. I hope to see MyNT look back at the ups and downs of the past 10 years, and look forward to a brighter future filled with empowered young people.